The SABI consortium combines the complementary strengths of leading international and national agencies in Sierra Leone. Find out more about our funder UK aid, consortium lead Christian Aid, consortium members and implementing partners here.  SABI is funded by UK aid, from the UK government’s Department for International Development (DFID). DFID works in Sierra Leone to support growth and to help lead the country towards a prosperous future. The UK is the biggest bilateral donor in Sierra Leone. They play a leading role in shaping donor aid policy and strategies around transitioning Sierra Leone towards a developmental path of prosperity and growth. Consortium lead Christian Aid is a leading NGO supplier of UK aid governance and accountability programmes, achieving significant results, impact and proven value for money. Christian Aid has almost three decades of experience in Sierra Leone and managed the third phase of the successful ENCISS programme. A major area of Christian Aid’s work in Sierra Leone has been accountable governance, working through partners and civil society networks to mobilise poor communities to claim their rights and demand accountability from duty bearers so there is a fair distribution of resources. Social Development Direct (SDDirect) will ensure a gender and social inclusion strategy suitable for the Sierra Leonean context is central to SABI and cuts across the programme’s outputs. SDDirect will also help to design and develop a locally led peer learning platform. The inclusion of youth in the programme is facilitated by Restless Development. Going beyond simply linking young people to service providers and decision makers, the programme develops a culture of asking questions and following up with young Sierra Leoneans. They empower young people to reach out to different groups within communities, as well as their peers and leaders, and support efforts to hold service providers to account across the whole community. Humentum is an organisation focusing on strengthening the financial management and accountability of NGOs around the world. It provides unparalleled expertise in assessing and developing the capacity of civil society organisations to manage grant funding. SABI also draws on the expertise of individual consultants with extensive knowledge of voice and accountability programming in Sierra Leone. Focus 1000 (Facilitating and Organizing Communities to Unite for Sustainable Development) is a Sierra Leonean organisation committed to making the best investment in the most crucial period in a child’s life: the first 1000 days. Within SABI, Focus 1000 works with the media, government institutions and legislative bodies to advocate for relevant policies connected to the programme’s key focus areas. RADA-SL is an NGO empowering poor and marginalised men and women and is working in the south of Sierra Leone. SEND Sierra Leone works on projects promoting women in governance and leads in the east of Sierra Leone. Sierra Leone Social Aid Volunteers support hard-to-reach children, young people, women and people with disabilities and will lead in the north. BBC Media Action delivered media activities for SABI, including a national radio programme, training for local radio stations and social media. This strengthened community-led accountability in Sierra Leone by empowering people to provide accurate and balanced information, stimulating discussion and challenging restrictive norms so all people can raise their voices about the services and decisions important to them.